PRESS RELEASE: What have you got to hide, frackers? After years of being pushed back by community efforts to oppose fracking, the extreme energy industry is still pressing ahead with plans to extract shale gas and other unconventional fossil fuels across the UK. Meanwhile, other fossil fuel extraction sites are receiving planning permission despite government pledges to phase out fossil fuels in the Paris Agreement made last December 2015. 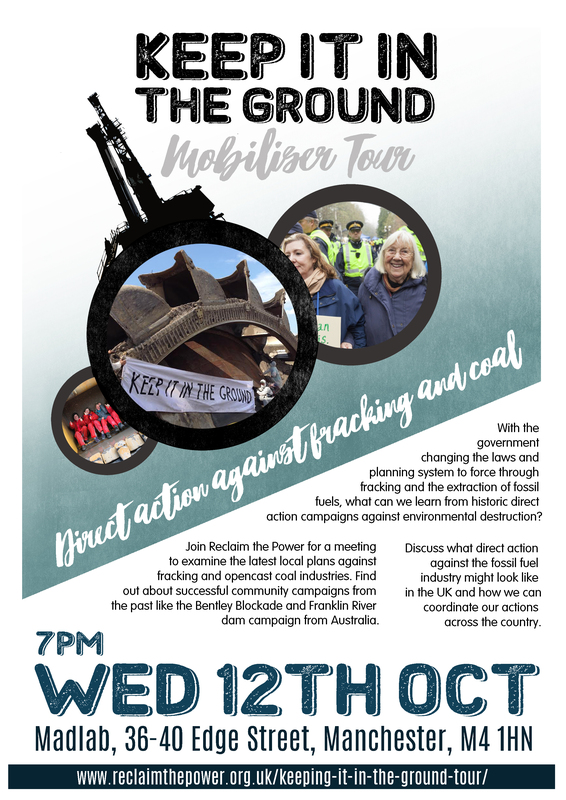 With commercial-scale fracking sites such as Preston New Road in Lancashire potentially becoming operational soon (decision expected 6 October 2016) Reclaim the Power is teaming up with local campaigners to discuss what strategies and tactics could be most effective to oppose these destructive industries. the latest plans from the fracking and coal industries to extract fossil fuels in the UK.